It’s no secret that Hollywood is a tough place to succeed — and tougher still if you are a woman. The discussion is ongoing, and it’s true that efforts are being made to promote inclusion, such as mentorship programs and specific grants for female writers and directors. Still, continuing studies on women in film show a stubborn lack of progress in addressing Hollywood sexism. Any woman who has worked in the industry is familiar with the harsh realities of struggling to find paid work and retaining a certain momentum to keep their careers afloat. Statistics are one thing, but the reality is, Hollywood is full of innovative female creators in all aspects of the industry — and each and every one of them have a unique approach to embracing an industry that is both chaotic and comfortable, rewarding and devastating, or inspiring and discouraging. I never really wanted to do anything else, other than a life in the arts. I never considered another career beyond something artistic and something involving music…. There was always the knowledge I’d wind up doing something like this. At one point I thought I’d go into music education, but I knew that I had to give myself a shot at performing full time, because it’s the only thing I’ve really loved to do. What was the first accomplishment in pursuit of that goal? Did anything make you think, ‘Yes, this is the feeling I’m chasing’? Do you remember your first disappointment, or something that challenged you? At my first major industry showcase two or three years ago, I was showcasing my music and I was alongside almost all label artists. They’d been showcasing in the industry for a really long time, and there was a confidence and assuredness that I observed in all these fairly well known label acts and I just wasn’t at that point yet. I knew that I would have to do that many, many more times before I reached that level of comfort like those artists had. Has there been a moment in your career that you would define as your big break? “La La Land.” Having that solo has been the first time that things have felt like they’re moving in a different direction or achieving a different level. That’s the moment to me and I’m really proud of it, and I’m enjoying this moment for what it is. What was it like seeing the movie for the first time and hearing yourself on the big screen? I was nervous — so nervous that I almost threw up. Which makes no sense, because I’d already recorded it and I wasn’t performing, but I was equally as nervous as a major performance. Maybe because I couldn’t control it, it had already been done. Not knowing what to expect or what it would sound like…but I was also super excited. It was surreal and terrifying and wonderful, a mix of all of those things. The lyrics to the portion of “Another Day of Sun” that you sang were particularly meaningful to you. Can you tell me about that? The character that I sang for leaves her hometown and hops on a bus with no money and goes for it to try and make it in Los Angeles. And I did that when I was 26 — I left Kansas with a car full of my belongings and very little money, and just went for it and left things behind and started anew with no real footing. I knew a few people but not a lot and I had to make it work. I felt like I related to her story and it was like I was singing about my own story. This is part of a blog series by We Do It Together, a nonprofit film production entity created to produce films, documentaries, TV and other forms of media uniquely dedicated to the empowerment of women. Jessica Hobbs is a writer from Durango, Colorado. 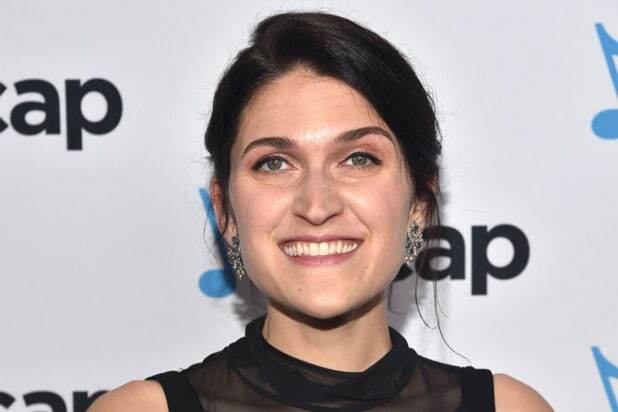 After spending nearly four years in Denver working in reality TV as a writer's assistant, postproduction coordinator, and associate producer, she moved to Los Angeles to work at the Sundance Institute. In 2015, she wrote, produced, and directed her first short film, "Jeremy." She is currently producing a feature-length comedy she co-wrote, "Amy Gets Her Man," which will shoot in August 2017. Two web series, "Green Eggs in Hell" and "The Rosé Divorcée," are also in the works.